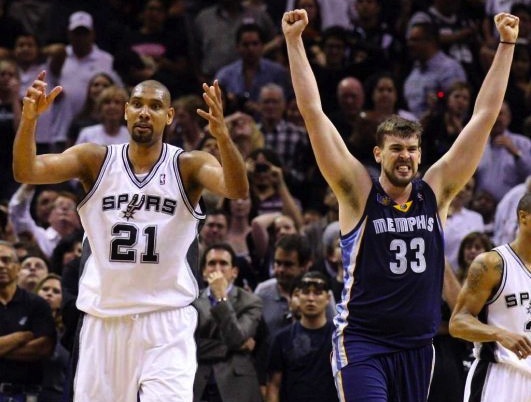 In game 1, Memphis was out matched and flat out played by San Antonio. Although the Grizz shot 43% percent from the field, there top scorer/ playmaker Zach Randolph shot a abysmal 1 of 8 which really hurt Memphis late in this game. The Spurs stars played a typical in your face smash mouth game making 14 3-pointers and holding Memphis’s other big threats, Gasol and Conley, to mediocre nights. Until one of these teams can break the home win streaks they have against one another this season, I see the same outcome in this one.